Thank you for considering Cajun Crawfish Company for your next local crawfish boil and Cajun catering. 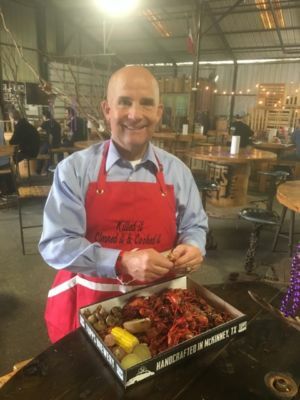 We have “specialized” in both planning and conducting some of the metroplex largest crawfish boils since 1998 when we started. 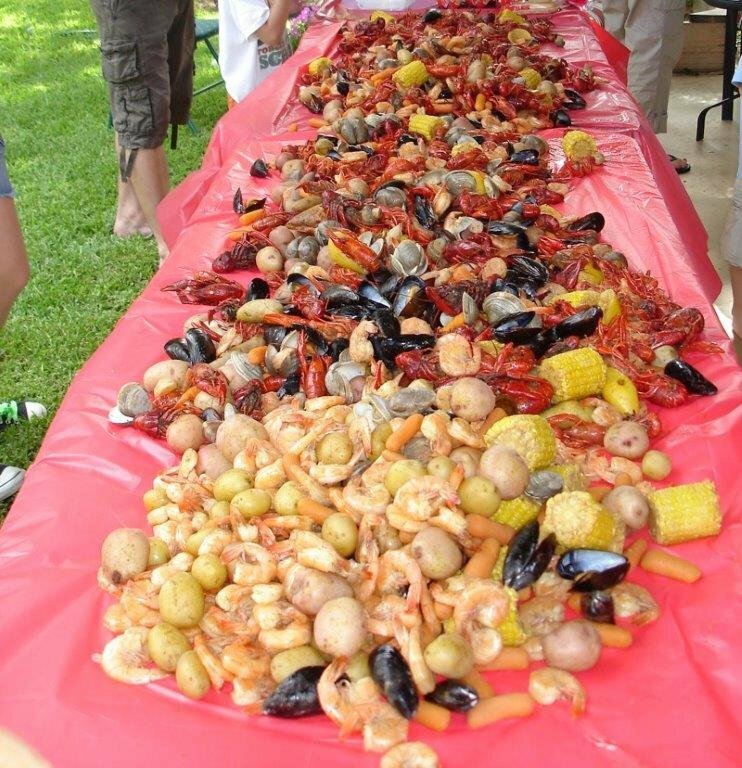 Known for our “authentic” two step boil and soak process most native Cajuns LOVE our crawfish/shrimp as we boil then soak in seasoned water, we do not sprinkle hot dry powder all over the shells! If time is of the essence to you, we can serve as your own full- scale event planning resource if requested! Saving you valuable time if you are to plan your event at work or at home! We can provide you with venue’s and also book chairs/tables/tents, hire live music and provide bar tending service referrals and drink machines. Please just look at our past event photos and any number of videos found throughout our site to highlight what we do and how we can do it for you! 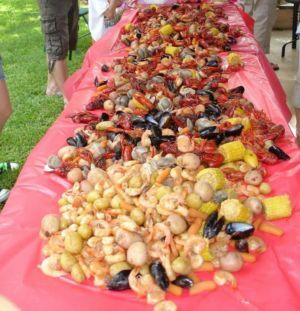 Please enjoy the web site and let us know how we can help in planning your next private or corporate crawfish boil or Cajun catering. Seasoned sweet corn, potatoes, and mushrooms. Hot boiled Louisiana crawfish mixed with large Gulf Coast boiled shrimp. Seasoned sweet corn, potatoes, mushrooms, and cocktail sauce. Large boiled Gulf Coast shrimp. Seasoned sweet corn, potatoes, mushrooms, and Cocktail sauce. Try live Maine lobster boils to really impress. Try our Jambalaya, Red Beans and Rice, Seafood Gumbo, and Cajun Fried Catfish. Frozen drink machines available! “Beau” knows how to make a mean Frozen Hurricane mix! Margaritas too! He/We have got you covered. Ask for details. Rentals do not include alcohol — we’ll explain! To Mardi Gras beads or not to Mardi Gras beads? 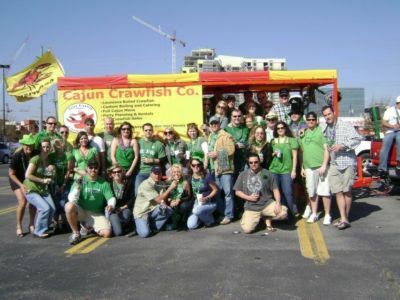 We recently developed a relationship with the largest Mardi Gras bead company based right in …. you guessed it …. New Orleans! You can select any assortment of Mardi Gras beads you desire with enough advance notice. We have identified some best buys we can suggest if interested! If so, tell us and we will see what else we can do! These suggested options have won our company compliment after compliment! Small or large, private or corporate! Total party/event planning in one call – That’s all! 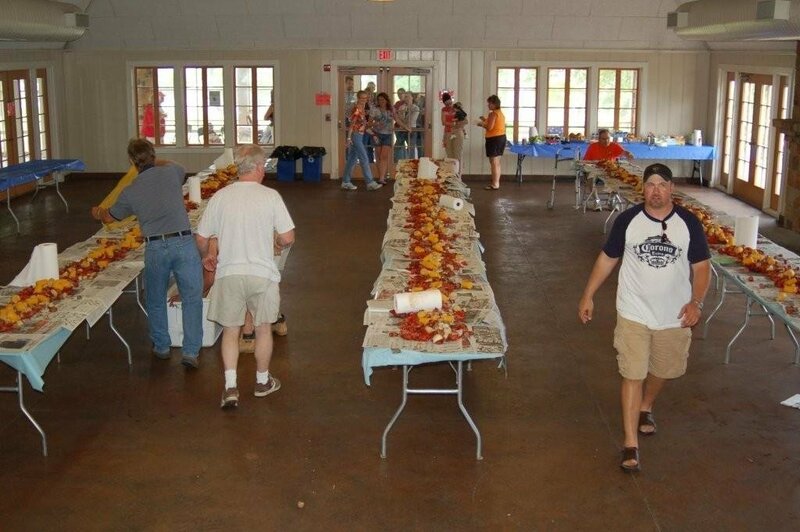 Party planning made easy! Hopefully these suggested options will minimize your efforts and expedite the planning of your next event. That’s our common goal! Right? “Laissez Les Bon on Rouler” or “Let the good times roll”!